Cambridge has comfortably won the 74th annual Women’s Boat Race following on from their victory last year. This takes the total wins to 44-30 in Cambridge’s favour and is their third victory in a row. Both boats started well, but Cambridge was able to quickly eke out an advantage after a powerful start. The gap then began to grow to a commanding lead within four minutes, and by the Harrods furniture depository Cambridge had managed to take the Oxford line. At the landmark of Hammersmith Bridge, the Cambridge boat had taken a considerable eight second lead. By Chiswick steps, Cambridge had extended their advantage to thirteen seconds and never seemed likely to surrender their lead. Conditions on the water were calm and placid under the grey London skies, with the race once again run in aid of Cancer Research. The crews were equally matched on paper going into the race, with the Light Blue boat coming in at just two stone heavier and less than two centimetres taller than their Dark Blue counterparts. 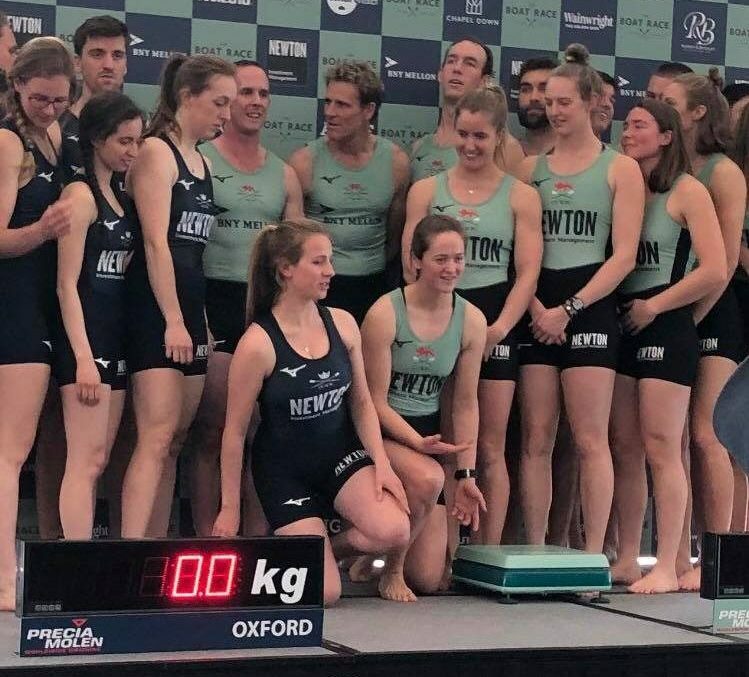 The Oxford crew consisted of Isobel Dodds, Anna Murgatroyd, Renee Koolschijn, Lizzie Polgreen, Olivia Pryer, Beth Bridgman, Tina Christmann, Amelia Standing, and cox Eleanor Shearer. Following the race, the women’s crew will continue preparation for races at the national championships, which will take place in June of this year.